Previo de Phono MM/MC. Hibrido, valvulas y transistores JFET. Ajuste independiente MM/MC. Producto de referencia. Híbrido. Válvulas 4x 6922. MM y MC. Ajuste de impedancia. RCA. MD PH7 Phono Preamplifier With the much-lauded PH5 phono preamplifier, Audio Research set a new benchmark for phono performance and features at its modest price. Now, phono enthusiasts have a new and even higher performance option: the all-new PH7 stereo phono preamplifier. 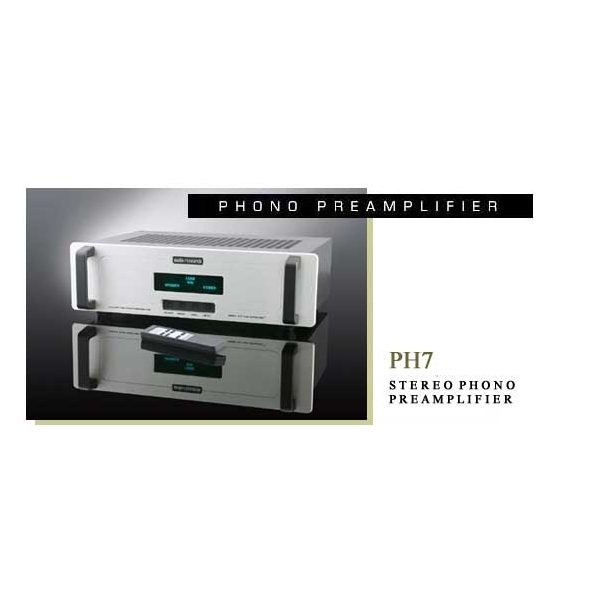 The PH7 takes advantage of more recent technology developed for products like the landmark Reference 3 preamplifier, and uses an all-vacuum-tube audio stage with four 6922 twin triodes. Regulation of the power supply is also vacuum-tube, using three 6H30 triodes. Output coupling caps are the costly, advanced types proprietary to Audio Research, with power-supply energy storage more than three times that of the PH5. Circuit board material, power transformer design and size, and other components have been exactingly selected to boost phono performance to a previously unachievable level. The PH7 has 57.5 dB of overall gain, and features one pair of single-ended inputs and outputs. Full remote control is provided for all functions, coupled to an easily readable front-panel vacuum-fluorescent display. The display shows all selected functions including loading (47K, 1K, 500, 200, 100 ohms), as well as accumulated hours of operation. Display intensity can be adjusted to one of eight levels, plus off. The PH5 has won renown for its inspired musicality, unerring tonal balance and realistic dynamics. The PH7 dramatically improves upon these virtues - and then some. Soundstage dimensions are of course scaled up in width and depth, with even more solid image specificity. Tonal shadings and microdynamics - so important to the believability of any musical rendition - are much more vivid, thanks to extra power-supply muscle and a low noise floor. Perceived frequency extension is much improved, with highs silky yet vivid, while deep bass notes are carved out with slam and real tonal definition. PH7 purchasers have yet to discover what their table, arm and cartridge setups are truly capable of! And every vinyl collection will take on new life and reveal new meaning as it is played back record-by-record through the amazing PH7. 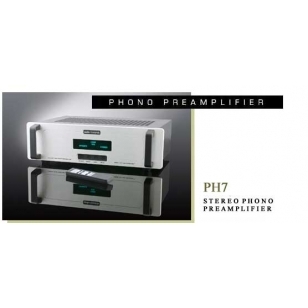 PH7 Specifications: FREQUENCY RESPONSE: ±..25dB of RIAA, 10 Hz to 60kHz; 3dB points below 0.7Hz and above 400kHz. DISTORTION: Less than .005% at .50V RMS 1kHz output. 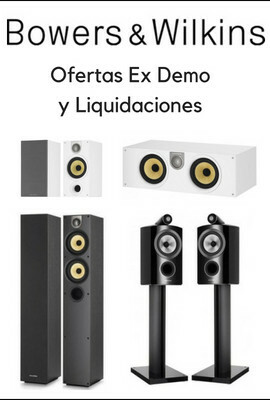 GAIN: 57.5dB at 1kHz (MC & MM compatible) PUSH BUTTONS: Power, Mono, Load, Mute INPUT IMPEDANCE: Selectable 47K, 1000, 500, 200 or100 ohms with 200pF Unbalanced. OUTPUT IMPEDANCE: 200 ohms Unbalanced. Recommended load 50K-100K ohms and 100 pF. (10K ohms minimum and 2000pF maximum.) OUTPUT POLARITY: Non-inverting. MAXIMUM INPUT: 70mV RMS at 1kHz (180mV RMS at 10kHz). RATED OUTPUTS: .50V RMS 10Hz to 60kHz, 100K ohm load (output capability is 50V RMS output at 1/2% THD at 1kHz). CONTROLS: Rotary volume selector (104 steps) and rotary input selector. Push buttons: Power, Monitor, BAL/SE, Proc, Mute. Also remote buttons: Display, Bal L, Bal R, Hours, Invert, Gain. POWER SUPPLIES: Electronically-regulated low and high voltage supplies. Automatic 50 sec. warm-up/brown-out mute. Line regulation better than .01%. NOISE: 0.16uV RMS equivalent input noise, IHF weighted, shorted input (70 dB below 1mV 1kHz input). TUBE COMPLEMENT: (4) 6922/E88CC dual triodes with JFET input. (3) 6H30 dual triodes as HV regulators. POWER REQUIREMENTS:100-135VAC 60Hz (200-270VAC 50/60Hz) 80 watts maximum. Line fuse 3A SLO BLO (1.5A SLO BLO 230V). DIMENSIONS: 19" (47 cm) W x 5.22"(13.2 cm) H x 12"(30.5 cm) D. Rear chassis fittings extend 0.6" (1.5 cm) WEIGHT: 15 lbs. (6.8 kg) Net; 23 lbs. (10.5 kg) Shipping.